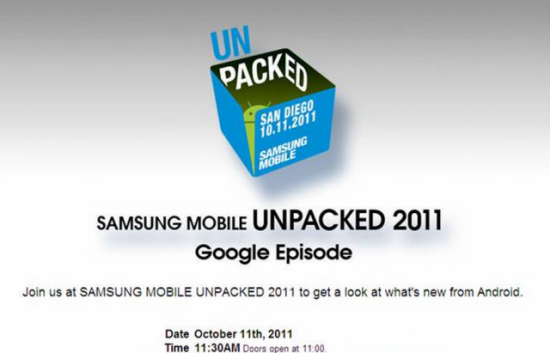 Samsung Mobile have just sent out invites for an Unpacked event dubbed the "Google Episode". I wonder what that could mean... ;). The event is set to take place on October 11th at CTIA in San Diego, California. It will also be streamed live on youtube.com/android at 11:30am PST (7:30pm GMT). It's not confirmed yet what will be announced but my best guess is the next version of Android (Ice-Cream Sandwich) and the next Nexus device will make an appearance. I, personally, can't wait to see what Google and Samsung have up their sleeves. Hopefully some mew features which have not already been leaked will be shown and some surprises come out of the event.